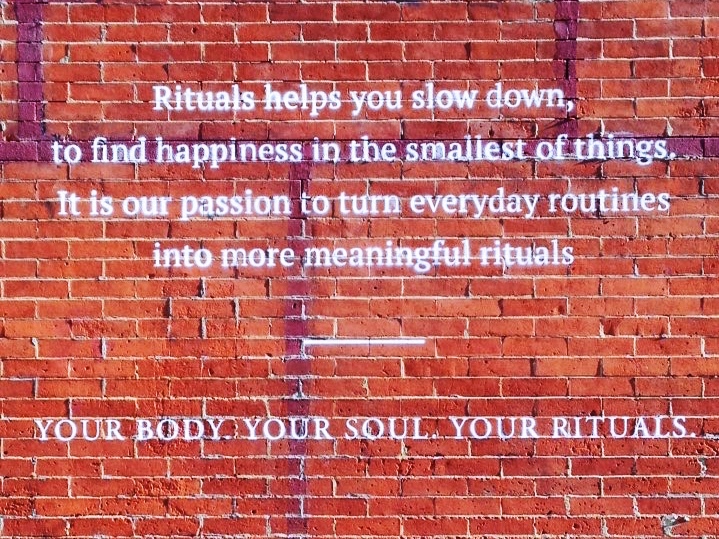 “Rituals help you slow down, to find happiness in the smallest of things. 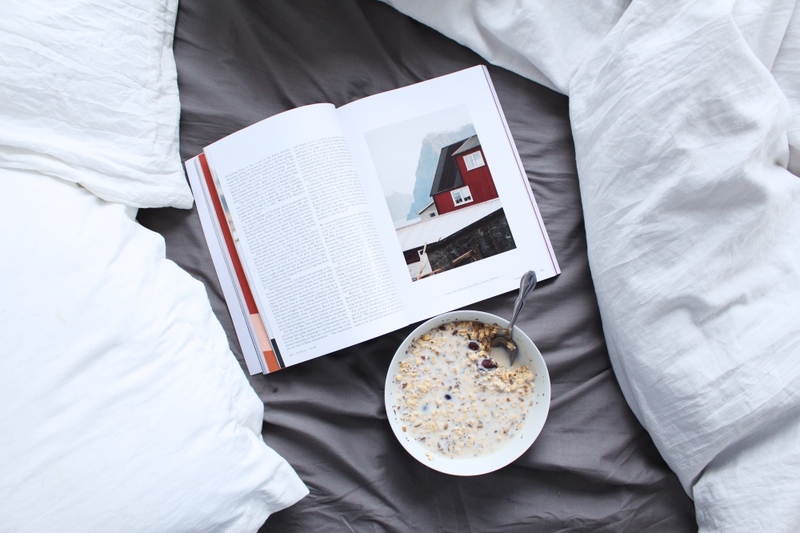 It is our passion to turn everyday routines into more meaningful rituals. I came across this message painted on a brick wall beside Toby’s Estate Café in Williamsburg on my way to work a while ago. I stopped to read (and Instagram story, duh) the phrase, realising how relevant and applicable this particular observation is to my life right now. Let’s take it back a few years to university. The only method I used for organising my scholarly activities at that time was a Moleskin diary where I would write a list in meticulous handwriting of a) the books I was going to take notes from in the library to prepare for a class or an essay, and b) my gym routine for that day. Sometimes I would fill in several days in advance full of lists, books, essay planning, etc. – and of course these plans would always end up changing. Now, at work, everything is planned via applications and online tools and systems, from Google Calendar to Trello to Basecamp. Planning, creating habits, structuring our production processes – these all relate to how routines and rituals manifest themselves in our lives. It doesn’t sound like much fun, does it? In high school, I used to line my books up in a row on the floor according to which homework I was going to do first. The order always started with my least favourite subject (Maths) and ended with the easiest or most enjoyable task. It was an efficient routine, following the basic infallible human logic of saving the best till last. It was simply something I had to do, and completing the array of homework by following this system was satisfying. At that stage of our lives, we have limited choice about where we channel our routine and ritual energy – waiting for the school bus at 7am in the freezing cold by the main road in a town I absolutely hated was excruciating, but I never held myself personally accountable, as I reasoned that my control over my life between the age of 7 and 17 was limited. At university, organising your work flow obviously becomes infinitely more autonomous. Being disciplined is still important though, and praised. A study routine becomes hard to maintain, but assigning a certain amount of hours per week to regular, structured, productive academic work and learning is a necessary component of college life. Nobody questions you for it, you guide yourself, always knowing deep down that you’re doing the right thing by (at least attempting) to follow sensible routines and productive rituals. 1. How To Create Routine and Ritual In Your Life. You want to incorporate more routine and structure into your life, but can never seem to make anything stick, and feel you lack the discipline and productivity to do so. Frustrating, right? Find out what’s really stopping you. 2. Ritual vs Routine | How To Make Them Serve You. Are your habits harming you or serving you? How can you swing things back in your favour? 3. The Importance of Rituals and Routines. What is a routine or a ritual anyway? Why do we need ritual and routine in our lives?